Individually appointed guest rooms reflect our colonial style while offering contemporary amenities such as color TV, touch-tone phones and private baths. Surround yourself with history in one of our distinctive Main Inn rooms. 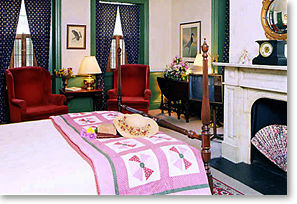 Each tastefully decorated Main Inn room displays its own originality. 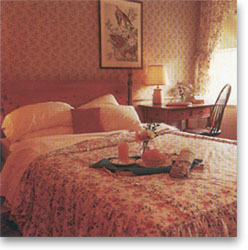 Or enjoy one of the Prescott Wing Rooms, decorated with cozy country charm. Our Keyes House Annex features two fully furnished two bedroom apartments for extended stays. Please contact our Sales Department for Special Long Term Stay Rates.